Jason Perry of Final Boss Blues is a veteran pixel artist & game designer with over a decade’s worth of experience. 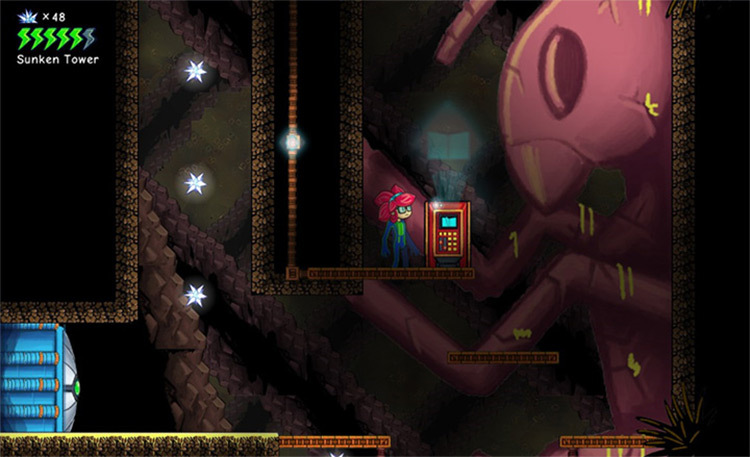 He designs his own games and creates pixel resources for indie game developers. Pixel art has been apart of gaming since its inception, but since the early 2000s it has really fallen away in mainstream gaming. Indie developers are bringing it back for a very small yet dedicated audience of gamers who prefer that nostalgic twist. In this interview Jason shares his early beginnings with pixel art and how it has changed over the years. He’s a major contributor to the pixel art community with his free tutorials and support for indie development. He also publishes premium game assets on marketplaces like Itch.io and GameDev Market, both of which are quality purveyors of pixel art game assets. Whether you’re a professional game designer or just love retro gaming, this is sure to be an interesting look at the beloved yet somewhat anachronistic industry of pixel art. When first starting pixel art in the early 2000s how did you learn? What resources did you use to study? I’ve wanted to make games ever since I was a kid. Sometime in middle school I discovered a program called RPG Maker. It was fun; it’s a great program for kids starting out who want to quickly put together an interactive world. Back then it was only released in Japan, so we used fan-translated bootleg versions. But these days it has a big community with official support. 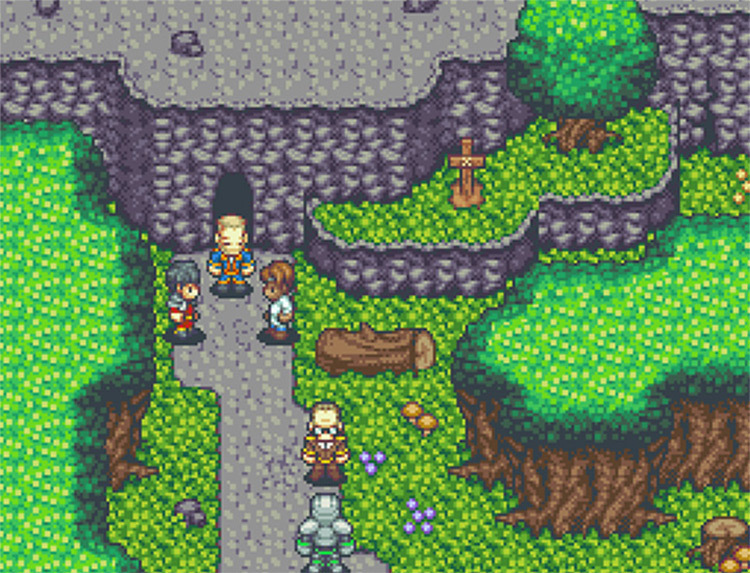 Back then RPGMaker games used either the prepackaged graphics or ripped sprites from SNES games. That felt limiting to me, so I started making my own stuff. In the beginning I got started by editing other sprites. Over time I transitioned into making my own stuff from scratch. I’ve moved on from making games in RPGMaker but I’ll always have fond feelings for the program, and I’m actually still involved. These days I create DLC graphic-packs for RPGMaker. I love the idea that there might be some kid out there who sees my graphics and they inspire him to create a world and characters of his own. If I can pay that forward I’ll feel like a success no matter what. How do you feel the pixel art & game design community has changed over the past decade(or more)? Aah, this is too big of a question! It’s changed so much. If you look at some of the best stuff out there, pixel art has evolved in some really cool ways. Most pixel art games nowadays are trying to emulate certain retro styles, like Shovel Knight replicating the NES. But it’s possible to make some really great stuff for a more modern visual style that still uses pixels. You can evoke that classic/retro aesthetic while still pushing the art form. Pixel games like Owlboy, Tower57 and Shadows of Adam are absolutely gorgeous because they’re really pushing the medium and making the most out of pixels. Gaming in general is bigger than ever. And with crowdfunding, Patreon, and Steam Greenlight it’s a totally different world than when I started this as a hobby. I feel “behind the times” on a lot of things. For example I’ve never been great on social media(I’m naturally a very private person). But it’s vital these days, so I try to use it and share cool pictures. It’s a fascinating time to be working on indie games. Do you think there’s a growing or shrinking demand for pixel art? 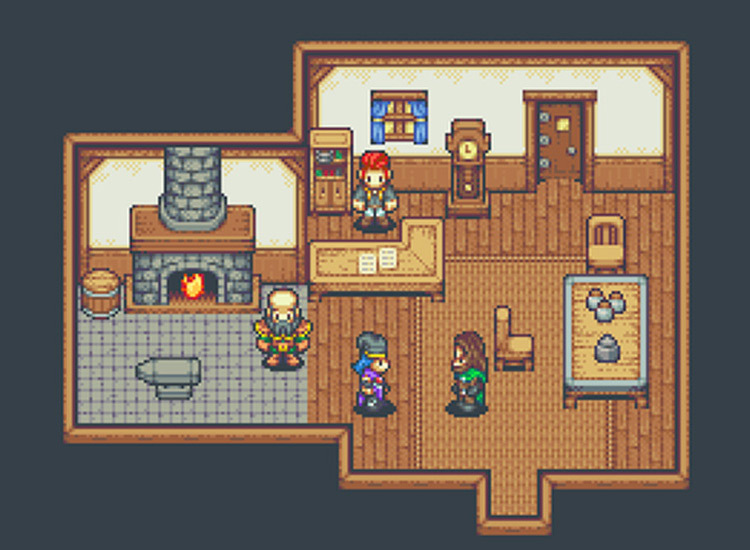 Is the market large enough for someone to earn decent side income doing freelance pixel art? As paradoxical as it sounds, the demand for pixel art seems to be growing and shrinking at the same time. It grows in some ways and shrinks in others. As a whole, there’s less and less demand for pixel art because it doesn’t have a very big place in modern games. Even ignoring 3D games, modern 2D games are capable of having gorgeous hi-definition graphics. Pixel art is only used to fill a specific niche. I can only speak for what I’ve personally seen. But it seems like there’s plenty of opportunities for the top pro pixel artists, and maybe fewer opportunities for people who are trying to push the line of becoming “pro”. What are the necessary prerequisite skills for someone to start learning and practicing pixel art for game design? Do you have suggestions for how someone might practice? Since I approach pixel art from a game-first perspective, the best way I can advise someone to start is to make a game and design your own graphics for it regardless of how they look at first. Create your hero and some basic terrain or enemies. Put them into motion and see how you use them and why. After that do it again, but do it better. Improve using what you learned from the first time around. I find that the most valuable work is practical work, and the best way to get better is to simply put in the time. If you talk to someone who identifies as an artist first, they’ll give you a very different answer. If your goal is to be a great artist then you’ll want to put in the time for traditional art studies. In relation to pixel art, how important are the traditional art fundamentals like perspective and lighting/shadows? Your fundamentals are fundamental for a reason. The better you have that stuff down, the better your art will be. This is true for any kind of art. In pixel art, and particularly for art that’s to be used in a game, there’s more room for shortcuts and it’s easier to hide the problems. Perspective in particular is interesting; a game designer needs to approach it differently than a painter would. For example, the perspective in A Link to the Past really doesn’t make sense if you think about it. But it looks good. You often have to allow for inconsistencies in order to make the world readable and keep strong gameplay. So that’s a massive advantage for the medium; low resolution naturally hides a lot of errors. But when you move into higher resolutions or have really complex animations, your shortcomings will be noticeable. So get the basics down first, even though I didn’t. Try to learn from my mistake. What software is required to actually animate pixel art? And what’s your take on the difficulty of creating pixel art in motion? I primarily use GraphicsGale for animation. Photoshop’s also an important part of my workflow. Regarding motion and animation, I actually think it’s one of the most important aspects of the kind of art that I do. Because this art is for games, animation is absolutely vital to put together game art and bring it to life. You might have a player sprite that’s absolutely beautiful, but without the animation it’ll feel like what it is: a static picture sliding around the screen. Give that sprite a sweet running animation and suddenly it feels like a real character. When first designing a sprite I keep in mind how it’ll be animated and what kind of poses I’ll need. Otherwise a bunch of time could be lost redrawing things. What were some of the biggest “lessons learned” in your art/design career? Were there any specific books, mentors, or techniques that drastically improved your skillset? Critique! Forums! Share your work with other artists. Get their feedback and really pay attention. And even more importantly, critique the work of other artists. When you really look at someone else’s work it forces you to take a critical eye that might be hard with your own stuff. Best place on the entire internet for serious discussion and critique of pixel art techniques is the Pixelation forum. Incredible artists on there, way better than me. And it’s amazing because I’m always learning from them. I’ve been a member there for about ten years now. Are there any projects that you’re really proud to have worked on? Well the project I’m currently most proud of is a game I made called Symbiote, which I made in under a month and won third prize in the 2015 Indie Game Making Contest. It’s not pixel art though, so maybe not the most relevant answer. Something pixel-based that I’m proud of is my Time Fantasy asset packs. My goal with these packs is to provide enough graphics(ideally more than enough) for developers to make an entire game world with plenty of characters, all with a consistent style. I’ve made around 300 sprites for this project and a bunch of tiles – and I’m going to keep going. 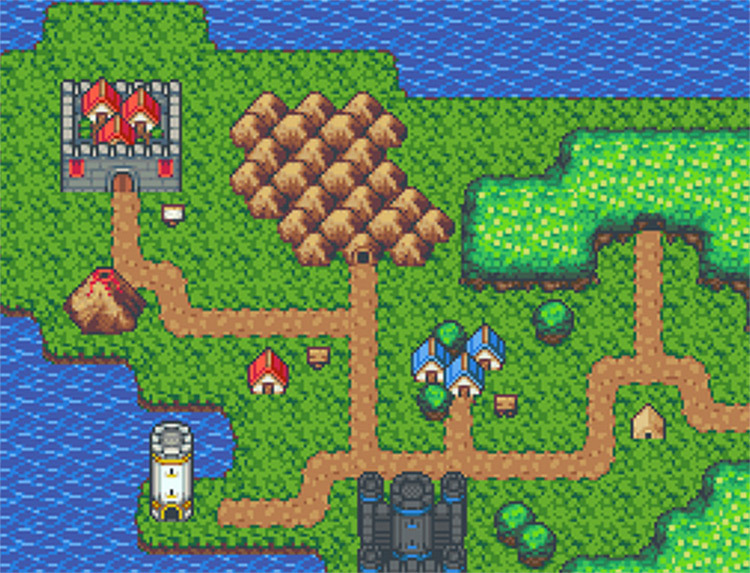 I think of the magical feeling when I first found RPGMaker over ten years ago. Anything seemed possible. I want to share that with as many people as possible. I like to think my TF graphics can bring that same feeling to people around the world. I’ve got other stuff on my itch.io page too. The other day I put up a small game called Man O War that uses pixel art. You can play it right in the browser so check it out. Are you working on any current projects or have you released any new games recently? I’m currently working on a bunch of things. The most exciting one is a platformer game I’ve been making. It hasn’t been “officially” announced, but I always share animations and screenshots on social media. Check for updates on Facebook or on Twitter @finalbossblues. It seems a lot of your work follows SNES style artwork. 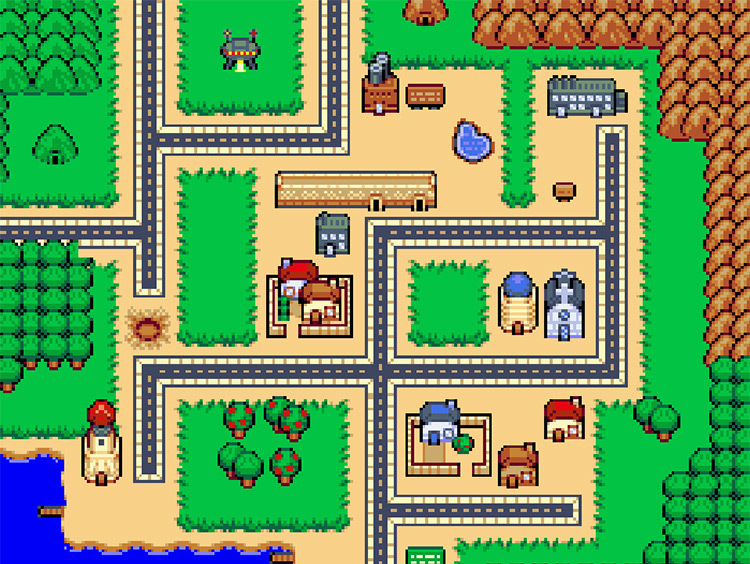 What attracts you to that style as opposed to GBA or isometric pixel art? I try to pick a style that best fits each project. A lot of my stuff (Time Fantasy in particular) has a SNES aesthetic because it fits the genre. 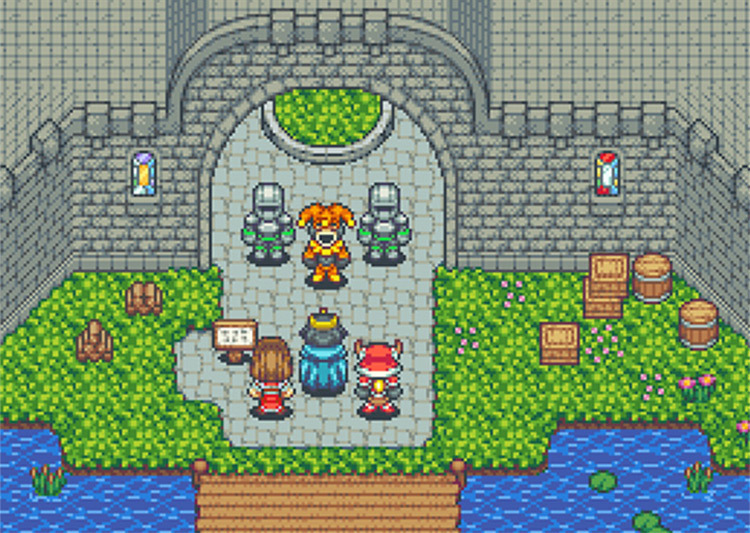 People expect a more SNES-look when thinking of RPGs. 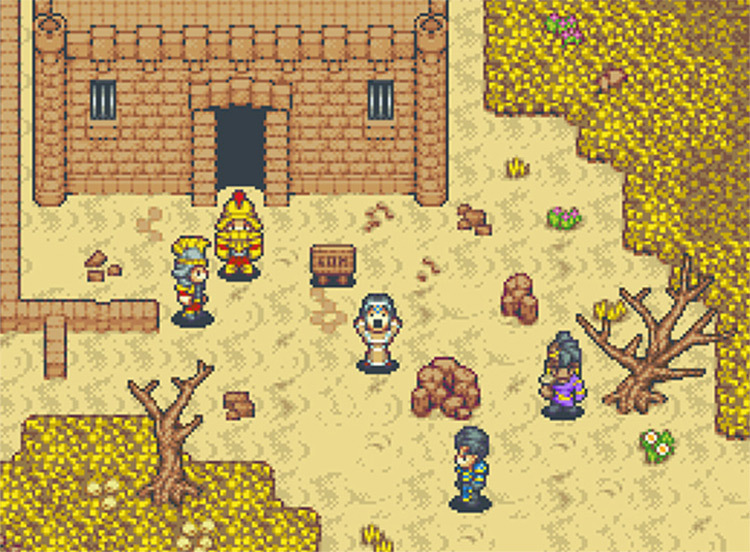 The great classic pixel RPGs like Chrono Trigger and FF6 were SNES games, so it makes sense for general RPG stuff to follow that style because it taps into the nostalgia. The platformer that I’m working on doesn’t follow any specific restrictions at all. But for style and tone I’m aiming for something that’s more reminiscent of Sega Genesis than SNES. I notice you sell pixel assets on sites like GameDev Market and Itch.io. What has been your experience as a premium seller? Do you feel game resource marketplaces can offer an income stream for asset designers, both in pixel art and other styles? Oh it’s wonderful. Selling assets is great. These sites and marketplaces didn’t exist until very recently, so it’s a great time to be doing this. It’s an awesome way to make connections too. I’m not quite paying all my bills from just the assets. But they offer a great way to bring in some extra income. Probably the biggest upside from selling assets(financially speaking) is that it really brings in people looking for freelance work specifically from me. People find my asset pack and want more in the same style, so they seek me out. I’ve gotten quite a bit of consistent freelance work this way. It’s nice to have people finding me instead of having to go hunting for jobs. So if you’re an artist, I can’t recommend it enough. Got an old scrapped prototype with unused sprites collecting dust? Slap the files onto a marketplace and see what happens. Even if you put them up for free(I’ve released two free packs with graphics from abandoned prototypes), someone can get some use out of them. Like I said before, I make sprites to be used in games. They’re not doing any good sitting forgotten on a hard drive. If I’m not using them I want someone else to. Could you share any final bits of advice for artists & designers interested in learning pixel art? Okay, let me clarify. If you want to make games as a hobby, or if the style really inspires you, definitely go for it. But if you want a career in art or as a games artist then pixel art is probably not the way to go. As painful as it is to admit, pixel art is simply not a good choice for most games today. I stumbled into pixel art when I was young and I’ve been doing it for over ten years. If you’re just getting into game art today, understand that things are changing very quickly. By the time you’ve got ten years of pixel art experience everything might be VR. As technology improves and screen resolutions get bigger and bigger, pixel art has less and less of a place in the modern world. It’ll always be a fun niche. But if you’re not doing it for the love of the medium, then you’re better off learning a more desirable and flexible medium. 3D is here to stay. And traditional art: sketching, painting, etc. Those skills will never go out of style. Special thanks to Jason for this incredible look into a unique area of the game design industry. He publishes a ton of articles and pixel art tutorials which are mandatory reading for anyone interested in the field. You’ll find more work and musings on his site Final Boss Blues. And if you want to purchase copies of his asset packs visit his page on Itch.io or on the GameDev Market.